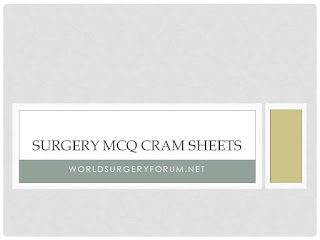 Introducing surgery MCQs in cram sheet format to get the most out of your limited time online. 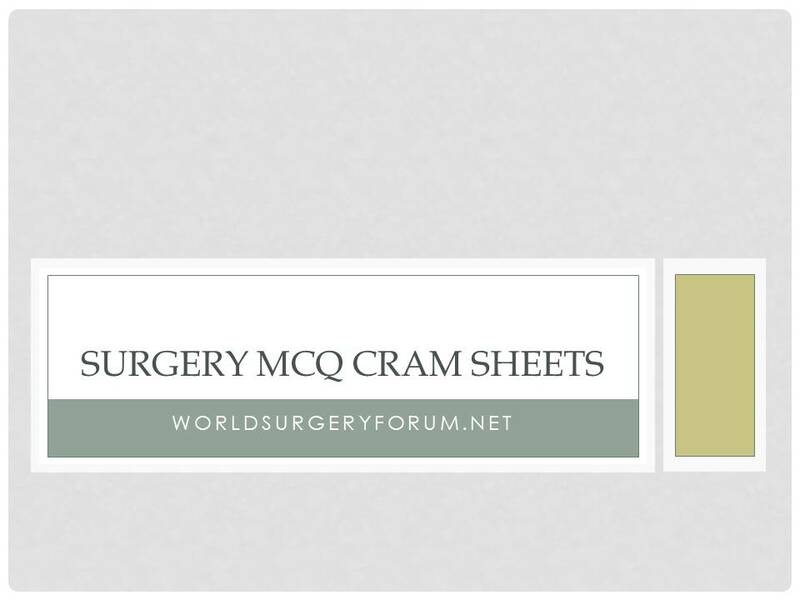 Will be adding more MCQs patterned for MRCS Part A, NEET SS, DNB CET SS exams. 1. In blast injury, which of the following organ is least vulnerable to blast wave? Primary injuries are caused by blast shockwaves. The ear drums are most often affected by the blast wave, followed by the lungs and the hollow organs of the gastrointestinal tract. Micro-calcifications may be associated with cancer. Macro calcification may be caused by aging or by a benign condition such as fibro-adenoma, a common noncancerous tumor of the breast. 3. A 40 year old patient is suffering from carotid body tumor. Which of the following is the best choice of treatment for him? 5. Which of the following renal calculi are most difficult to treat with lithotripsy? Spinal tumors are neoplasms located in the spinal cord. Extra-dural tumors are more common than intra-dural neoplasms. Extra-dural tumors are mostly metastases from primary cancers elsewhere (commonly breast, prostate and lung cancer). Occurs in the setting of chronic granulomatous diseaseQ, disorder of granulocyte function and hematologic malignancies. In presence of complete biliary obstruction, serum bilirubin levels generally plateau at 25 to 30 mg/dl. Situation in which even higher bilirubin levels can be found include renal insufficiency, hemolysis and hepato-biliary disease.